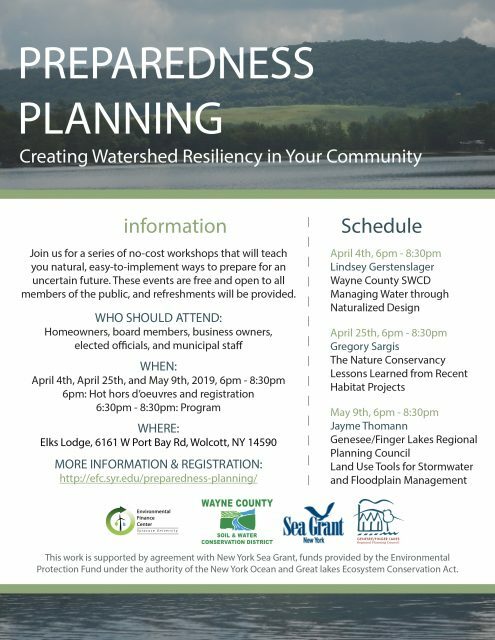 A series of free workshops are being held at the Elks Lodge in Wolcott, NY to help homeowners, board members, municipal staff and anyone else who is interested to learn about easy ways to prepare for an uncertain future within their community. Homeowners, municipal board members, business owners, elected officials, and municipal staff. This work is supported by an agreement with New York Sea Grant, funds provided by the Environmental Protection Fund under the authority of the New York Ocean and Great Lakes Ecosystem Conservation Act. We are but a few short weeks away from seeing the first green leaves of spring. I don’t know about you, but I look forward to spring, even though I know that snow will be replaced with mud. As the snow melts, ticks will become active and exposure to ticks will bring health risks. Gardening, maintaining home landscapes, cutting firewood, hiking, or just outside having fun all provide the potential for tick encounters. Knowing about them and taking steps to protect yourself and your family is important and that’s why we chose “Don’t Get Ticked NY” as one of the two topics for our Master Gardener’s “Spring Kickoff” event on Saturday, April 6th. During the first session, Cornell University’s Lynn Braband will talk about the different ticks in our area and their biology, the diseases they carry, and how to protect yourself and others from being bitten. The topic we chose for the 2nd session is “Growing a Successful Vegetable Garden”. This presentation will address many of the questions we receive each year from clients. Details and registration info for our “Spring Kickoff” event are below. If you e-mail us, you should receive an online form that will help us address your question. We are also available for office visits by appointment throughout the year. Our regular office hours will resume on April 2nd with Master Gardeners in the office on Tuesdays and Fridays from 9am to noon. If you need to drop off a plant, insect, or soil sample you can do so from 8:30 to 4:30 Monday through Friday. Our office is located at 1581 Rte. 88 North in Newark. Horticultural Presentations: We are currently scheduling presentations for 2019. Presentations for adults are limited to groups in Wayne County, are available from January through the end of April and are subject to presenter availability. Youth programming is available throughout the year. Limited to first 50 paid registrations – Sign up for one or both sessions – Advance registration required by April 1st – $5.00 per person required with registration. Stop by our office or mail your payment to CCE Wayne County, 1581 Rte 88 N. Newark, NY 14513-9739 Include an email or phone number and which sessions you would like to attend with your payment. Session 1: “Don’t Get Ticked NY” – 9am to 1030am – Avoiding Lyme and other tick-borne diseases requires avoiding a tick bite! Join Cornell University’s Lynn Braband as he talks about the different ticks in our area and their biology, the diseases they carry, and how to protect yourself and others from being bitten. Session 2: “Growing a Successful Vegetable Garden” – 10:45 to 12:15pm – Join our Master Gardeners as they cover 10 things to do that will help improve success in vegetable gardens – includes best management practices for watering, pest prevention and nutrient management for maintaining vegetable and herb crops, tips for seed starting indoors and out, and Master Gardener Question and Answer session. Master Gardener Plant Sale: Saturday, May 11th 8am-11am at the Extension office in Newark. Great Gardens of Wayne County 2019 Tour: Save the date – tickets for the June 19th tour will be available beginning May 13th. Monarchs and Gardening for Butterflies: Save the date – Saturday, August 3rd – 9 to 11am. Registration will be required. Watch for more details in local papers and from our email. Federal income tax provisions that apply to timber have changed for the 2018 tax year from the December 2017 new tax legislation. To help family timber owners, foresters, and their tax preparers in filing their 2018 tax returns, Dr. Linda Wang of the U.S. Forest Service has provided income tax guidance that is current as of Sept. 30, 2018. Please see attached. Are you thinking about logging your woodlot or do you want to manage your woodlot for specific objectives? If so, call (315)331-8415 ext. 107 to schedule a woodlot site visit. A typical site visit is 3 hours with our Master Forest Owners providing woodlot management information to Wayne County woodlot owners including best management practices for achieving management goals. During the visit our MFO’s can also provide you with sources for additional assistance and information. If you’re applying purchased compost for your vegetable gardens, know what it’s made from and that it’s ok to apply to food crops. Before applying compost to garden beds, test it for maturity. Home testing is easy. Contact us for an instruction sheet. Too much of a good thing…think about nature when adding compost to your garden beds. A little goes a long way – a thin layer is all that is needed. Compost can be used on lawns. Spread a thin ¼ inch layer over the grass and rake in. Use a sterile planting mix for seed starting indoors. Avoid using garden soils due to possible disease contamination as well as drainage problems. When starting seeds inside, don’t begin too early as this will result in tall, weak, spindly plants. It’s also important to have adequate lighting for young plants. Selecting disease resistant vegetable plants/seeds will help decrease some plant diseases and the amount of maintenance required to keep plants disease free. For best yields, coat pea seeds with inoculant (live rhizobial bacteria) and plant as soon as the soil can be worked. Environmental stress from lack of water or periods of hot weather can decrease yields. Harvest often to keep plants productive and for best quality peas. Don’t work in wet soil. Test by squeezing a handful into a clump…if the clump breaks apart easily the soil is dry enough to work in. A soil pH test will help you know if your garden needs lime and a soil nutrient analysis can determine soil nutrient levels. Our Master Gardeners provide soil pH testing for 3.00 per sample and we have soil nutrient test mailing boxes and instructions available at our office. Harvest parsnips as soon as the soil has thawed out. As the tops begin to grow, parsnips will become woody. Do you like sweet potatoes? Did you know that you can grow them in your garden and, after harvest, cure them so they store for several months? If you would like to learn more, let us know! If mail order strawberry plants arrive ahead of schedule and you store them in the refrigerator don’t keep them in the hydrator with fruits and vegetables. Fruit trees should be pruned in late winter before bud break. When the spring temperatures rise above 40, you can apply dormant oil sprays on fruit trees. Contact our Master Gardeners for a Limited Spray Schedule for home fruit growers. Prune blueberry plants toward the end of this month. Maintain 6-9 branches per plant. Brambles are best grown on a wire trellis system… it’s easiest to install this before planting. For instruction sheet contact us. Red raspberry plants should be thinned and pruned in mid-March. Thin canes to leave 3-4 per linear foot of row and prune off winter damaged tips – make sure your wire trellis is one foot below top of pruned canes. To decrease chance of bramble disease, remove all trimmings and dead canes from the garden and destroy them. Black raspberry plants: When primocanes are about two feet tall, cut about 4 inches off the tips to encourage lateral growth. The canes will become quite long and will need a wire trellis system to support them through the winter. Then, in early spring, thin the canes so there are 2-3 per linear foot of row, remove any winter damage, and shorten the lateral canes to one foot long. Purple raspberry plants: In June, pinch primocanes back so they are 3-4 feet tall. Then, in early spring, thin to two to three canes per linear foot, remove any damaged wood, and shorten laterals to about one foot in length. If you’re looking for early color in your garden, consider Hamamelis x intermedia ‘Arnold Promise’. This large shrub blooms in late winter and its yellow blooms are quite striking against the snow. It also has nice fall color, is tolerant of clay soil, and is somewhat deer resistant. Trees and shrubs that arrive through mail orders while the ground is still too wet or frozen often present problems in terms of immediate planting. Mail order plants can be kept up to a month before they need to be planted. After that, plant mortality can become an issue. Packaged plants should be removed from their wrapping and inspected as soon as they arrive. Any damaged or dead parts should be removed. If the temperature is above freezing, the plants can be kept outside for a few days in a shaded, cool spot but the plant’s root system must not dry out or freeze. To prevent dehydration, the root system should be covered with damp peat moss; wood chips, leaves, or other organic material. Early spring is a good time to manage eastern spruce gall adelgid, tulip tree scale, euonymus scale, and black knot of plum and cherry. Call or e-mail our Master Gardeners for management options. Scout for Emerald Ash Borer(EAB) by looking for “blonding” on ash trees from woodpecker feeding. Contact us for EAB management options. We’ve had a lot of wind this winter. Broken branches should be pruned out but it’s important to make cuts at the correct locations so trees can heal properly. Contact us for details. Are your mower blades ready to go? Sharp mower blades make cleaner cuts that help decrease some turf diseases and water loss from grass blades. Don’t fertilize lawns in the early spring. 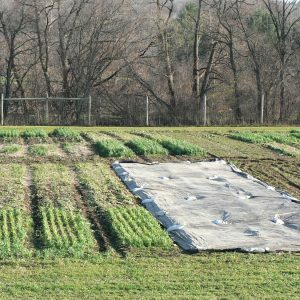 Doing so increases top growth at the expense of root growth, makes grass more susceptible to insects, diseases, and drought and research shows that these applications do not really enhance spring green-up compared with late-fall applications. For most low-maintenance lawns, a single application in fall about two weeks after the last mowing is sufficient. However, if you didn’t fertilize last fall or if your lawn has winter injury, it may benefit from spring nitrogen applications. 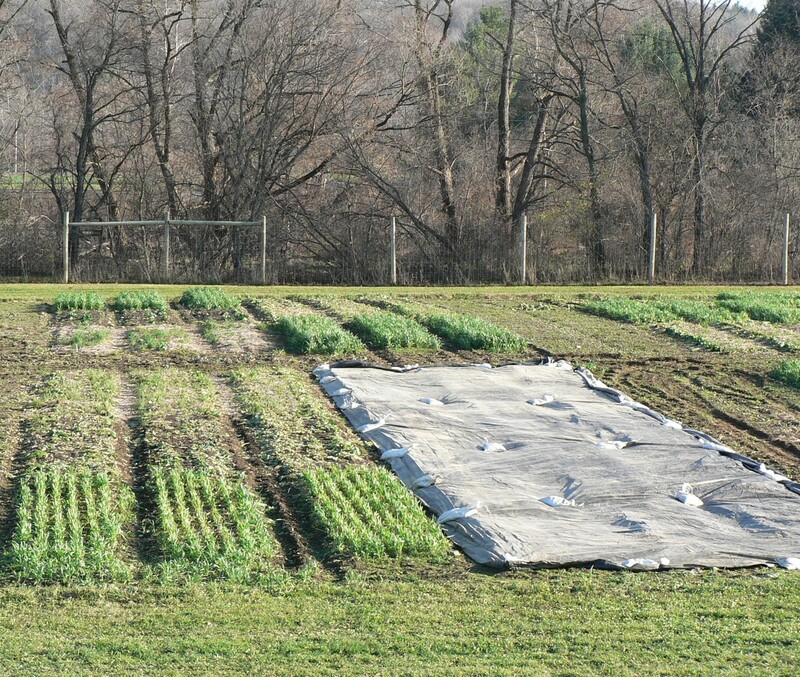 Make applications after soil temperatures are above 55 degrees – typically around Memorial Day. Is crabgrass a problem in your yard? If so, your first opportunity for control is quickly approaching. Contact us for timing and product information. How did your grass grow last year? Was it thin and full of weeds, or were there a lot of bare spots? Did leaves smother your grass over the winter? Give us a call and we’ll help you plan a course of action for the spring. A soil pH test will help you know if your lawn needs lime and a soil nutrient analysis can determine pH and fertilizer needs. Our Master Gardeners provide soil pH testing for 3.00 per sample and soil nutrient test mailing boxes are available from our office. As daylight increases, you can resume a regular fertilizing schedule for houseplants. Use commercial grade potting soil for transplanting houseplants rather than garden soils that can contain plant pathogens and create root problems from poor drainage. Staying off gardens beds until the ground is sufficiently dry will decrease compaction of the soil around plant roots. Use stepping stones to gain access to beds for early spring flower harvesting and weeding. Every garden center or big box store and every seed catalog offers tomatoes. They are the most popular vegetable to grow in the home garden. But did you know that tomatoes are easy to grow from seed and that there are hundreds of varieties to choose from? If you have special circumstances including lack of space or need a low acid tomato for dietary reasons, there are tomato varieties that will suit your needs. The one requirement that cannot be avoided is abundant sunshine. Tomatoes are heat and sunshine lovers so you will need a spot that receives at least 8 hours of direct sunlight a day. If you have a sunny spot, you’re on your way. Let’s say you’re growing spot is on a deck or even in a south facing planter box. There are many choices of dwarf tomatoes that have big flavor in a small package : for example Micro-Tom that grows to just 6-8 inches tall, or Patio Plum. Both of those tiny tomato plants will produce ripe fruit in about 60 days, but you probably need to start them from seed. If you’d rather have a low acid yellow tomato to grow in a pot, there’s Patio Choice Yellow Hybrid. All of these tomato seeds are available from the Totally Tomatoes catalog and the packets of 20-30 seeds are about $2.55 each. Tomato seeds will keep just fine in your fridge for 4-5 years. Notice the price of heirloom tomatoes at the garden stands. For the price of one quart of heirlooms, you could grow your own and have fresh tomatoes all summer/fall. The heirlooms were grown for flavor, not for shipping and may not have the disease resistance of some hybrids but once you sample the tasty varieties, you’ll want to add a plant or two to your garden. Most seed catalogs will have a section devoted to heirlooms. Give tomato growing from seed a try – you’ll have the color, size and flavor you choose right outside your door! There are four basic habitat requirements for any species of wildlife: food, water, cover (or shelter), and usable space. Each species has its own individual requirements, but no matter how large or small your woods, there are projects and practices that you can incorporate into your woodlot activities to improve wildlife habitat. Becoming familiar with the wildlife habitat features that already exist in your woodlot can begin by observing the behaviors of wildlife in your woodlot and the habitats they frequent. It’s also helpful to map the different geological and hydrological features that exists on your property. Do you have rock outcroppings? What about streams, ponds, wetlands, or vernal pools? Inventory the tree species, shrubs, and groundcovers that produce nuts, berries or other food sources. 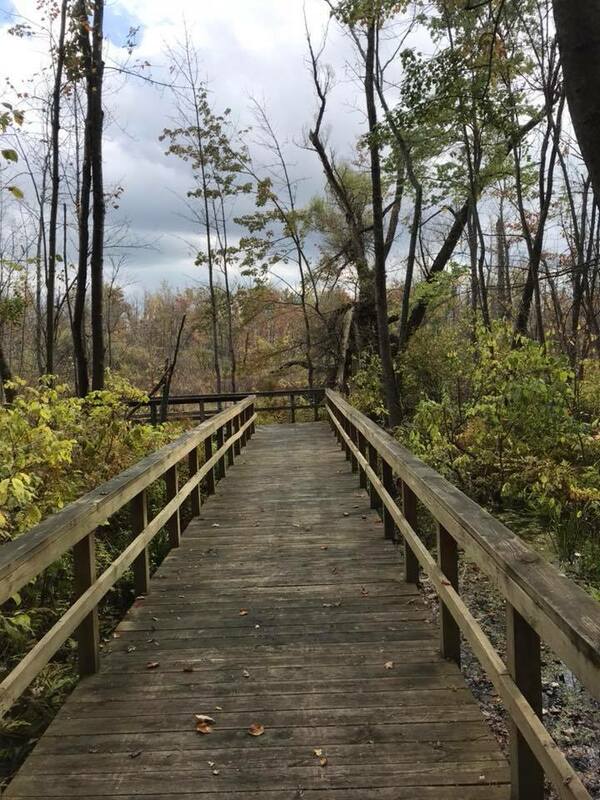 You should also note the presence of standing dead or dying trees (snags) and fallen decomposing logs and large branches, or coarse woody debris (CWD). Once you’ve become familiar with the features of your woodlot and have decided which species of wildlife you want to attract, you can begin to incorporate specific projects and practices into your woodlot activities that will provide wildlife with the food, water, cover, and space needed. Food – Tree and shrub species that produce mast, or seeds and fruits, are valuable sources of food for several different wildlife species. Hard mast, such as acorns, hickory nuts and beechnuts provide food for squirrels, chipmunks, turkeys, bears, and others. Soft mast produced by herbs and shrubs (e.g., raspberries and elderberries) may attract birds and bears, as well as butterflies, bees, and hummingbirds collecting pollen and feeding on nectar. Creating openings in your woodlot can increase shade-intolerant (“sun”) tree species that provide hard mast at a younger age, and herbs and shrubs. If light and soil conditions are suitable in clearings, you can plant native trees and shrubs valuable to the wildlife you want to attract. Cutting less desirable trees competing with food-producing trees, can promote their growth and health. Retaining some snags (where they don’t present a safety hazard), will appeal to woodpeckers and other animals that feed on insects and fungi attracted to decaying wood. Water – Animals have various ways of meeting their water needs, so the absence of open water in your woods does not mean that it won’t be able to support wildlife. Some animals are able to get the water they needs from food, others drink dew or raindrops, many utilize seeps and vernal (springtime) pools, or visit water sources on nearby properties. However, when creating or improving wildlife habitat, providing sources of water is important to incorporate when possible and if required by the wildlife species you want to attract. Cover – Wildlife use cover for protection from severe weather, escaping predators, raising their young, and a place to rest. Cover might be found in a brush pile, a hollow log, or a hole in a tree or the ground. Leaving some snags will provide habitat for cavity dwelling animals and several insects. Eventually, snags will fall and become part of the CWD, also referred to as coarse woody habitat (CWH) in your woodlot, which is useful to various wildlife species such as grouse who use them as drumming sites and opossums, rabbits, and skunks as denning sites. These decomposing logs also provide the moist, cool habitat needed by many reptiles and amphibians. When pruning or harvesting trees, leaving piles of brush and branches provides cover and den areas. Edge habitat, corridors, and wind breaks are also important cover features to consider. Space – Some species of wildlife need large acreage, but space for attracting many wildlife species extends upwards beyond the amount of acreage your woodlot covers. Trees, shrubs, and vines provide vertical access and space for animals that climb and fly. Vertical structure can be increased through management practices such as thinning, which increases light, promoting understory growth. Cornell Cooperative Extension is an employer and educator recognized for valuing AA/EEO, protected veterans, and individuals with disabilities, and provides equal program and employment opportunities. 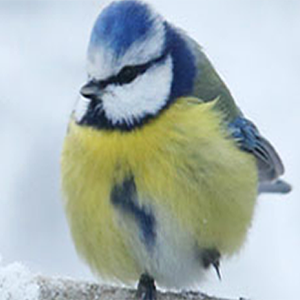 The Great Backyard Bird Count this weekend! The Great Backyard Bird Count (GBBC) is a free, fun, and easy event that engages bird watchers of all ages in counting birds to create a real-time snapshot of bird populations. The 22nd annual GBBC will be held Friday, February 15, through Monday, February 18, 2019. 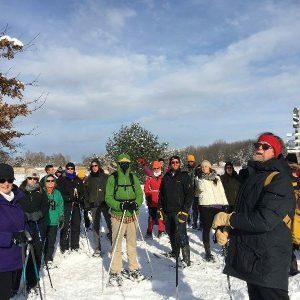 If you have never participated in the Great Backyard Bird Count or any other Cornell Lab citizen-science project, or have not participated in the GBBC since 2013. If you already created an account for the GBBC in the past, or if you’re already registered with eBird or another Cornell Lab citizen-science project, you can use your existing user name and password. Count birds for at least 15 minutes on one or more days of the GBBC. You can count for longer than that if you wish! Count birds in as many places and on as many days as you like—one day, two days, or all four days. Submit a separate checklist for each new day, for each new location, or for the same location if you counted at a different time of day. Estimate the number of individuals of each species you saw during your count period. 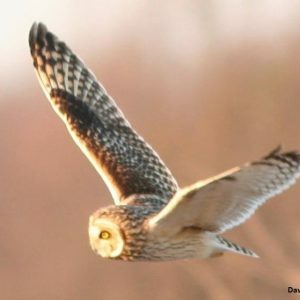 Jan. 26, Saturday, 3:30 p.m. – 5:30 p.m.
Get up close to live owls during an indoor presentation by KrittrKris to find out what special adaptations these birds have that allow them to survive the winter season and be successful hunters of the night. 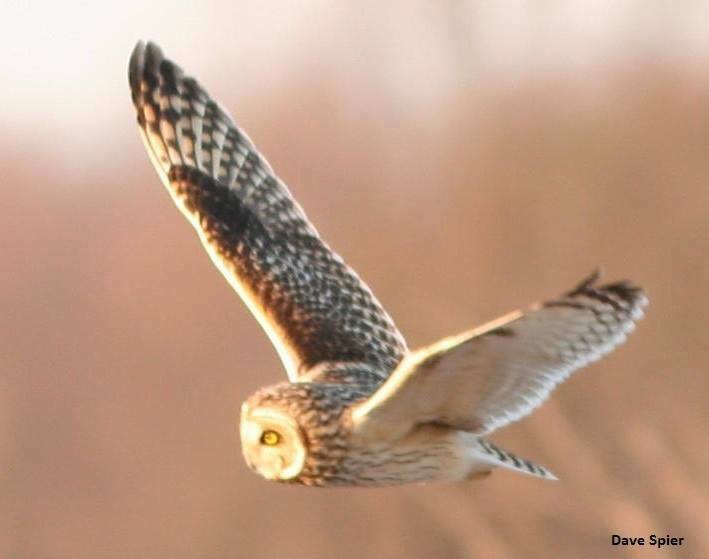 Then, join our staff for a short walk to search for the endangered Short-eared Owls and other birds of prey. It will be a real hoot! Fee: $6/child, $8/adult, $25/family. Registration required. 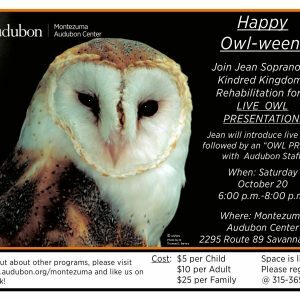 Call 315.365.3588 or email montezuma@audubon.org. 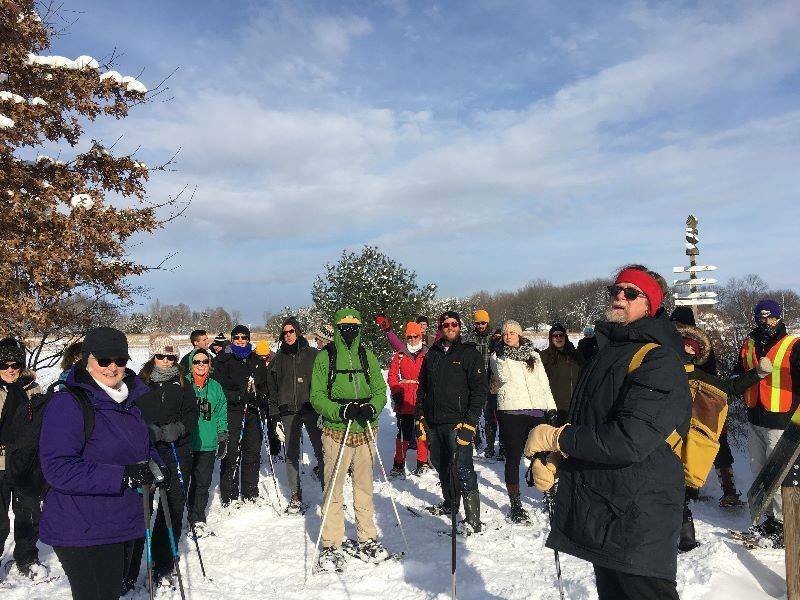 Join the NYS DEC and the folks at the Montezuma Audubon Center for a first day of the new year hike. Join Kelly Gill, Pollinator Conservation Specialist with the Xerces Society, for this full day workshop that will focus on concepts around protecting and enhancing populations of pollinators, especially bees, in agricultural landscapes. 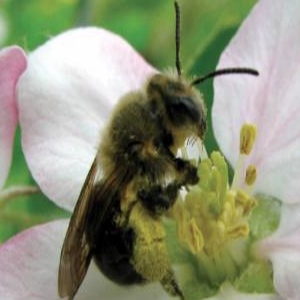 The course will provide an overview of bee natural history and farm practices that support pollinators, such as protecting and creating habitat, modified horticultural practices, and advice on how to manage pests while protecting pollinators. 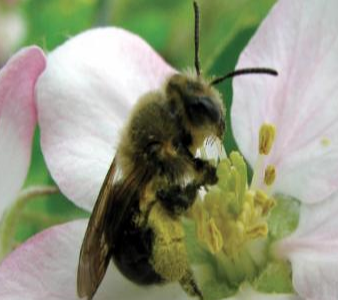 The Xerces Society is offering similar Pollinator Conservation Short Courses, as well as Conservation Biological Control Short Courses across the country. The District is planning a Soil Health Workshop for late Summer of 2019, stay tuned. 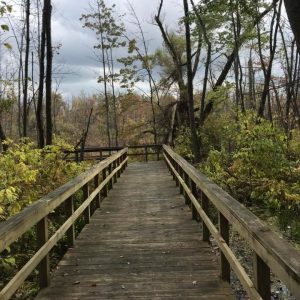 October 27: Huckleberry Swamp Hike – 10am to 1pm. Composting Workshop “Easy Steps to Black Gold” with Master Gardener, Barb – our Composting Queen! Leaves, garden debris, veggie scraps and more…a few easy steps will turn these into “black gold” for your plants! This workshop will provide instruction on how to be successful with home composting, including troubleshooting problems, what can be composted, container types, and composting with worms (vermicomposting). Plus question and answer session. Save the date: Sept. 22nd 9am-11am. Registration is $3.00 per person and is required by Sept. 18th. To register, stop by our office or mail your payment along with your phone number and/or Email to CCE Wayne County, 1581 Rte. 88 N. Newark, NY 14513. Limited spaces available. Registration will be confirmed via phone call or e-mail, so please remember to include your phone number or e-mail with your registration. Registration Deadline Tuesday, September 18th.